I was riding down the Parkway when I saw a cluster of 30 or so cyclists and heard “Run Through the Jungle” blasting from a trailer being towed from a bicycle. 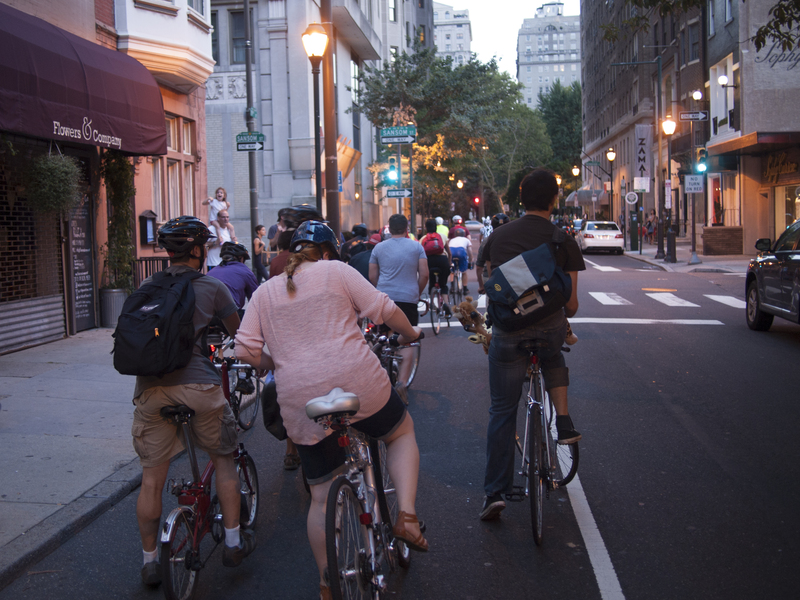 This is how I made my entrance into the Philly Bike Party, 17 August 2014. 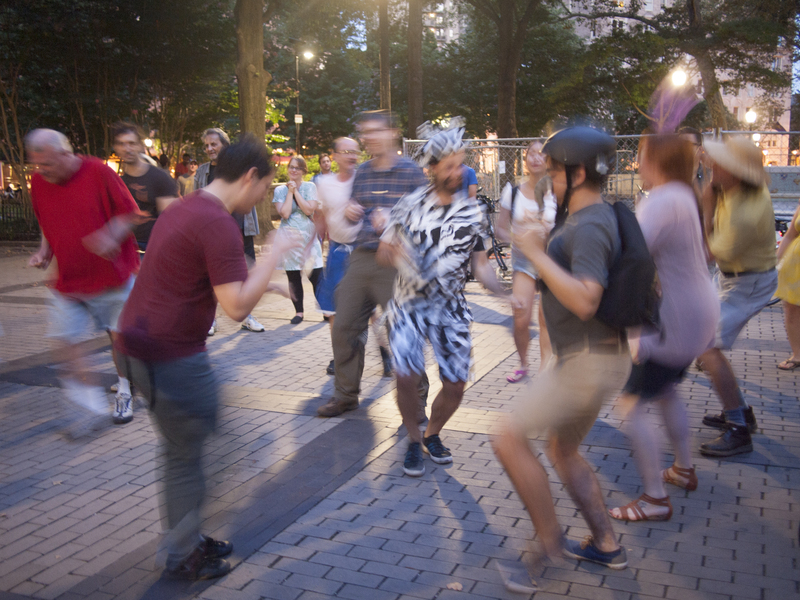 The Philly Bike Party boogieing down in Rittenhouse Square, 17 August 2014. 23 Sep	This entry was published on September 23, 2014 at 8:02 am. It’s filed under Rittenhouse and tagged Philly Bike Party. Bookmark the permalink. Follow any comments here with the RSS feed for this post.